The Cranberry Cilantro Ranch Conspiracy | Who's Your Danny? Well, now Ranch Dressing is not only the best selling salad dressing, overtaking Italian in 2002, but has it’s sights set on Ketchup as King of all Condiments. Whatever happened to French (aka Catalina). She was a fine dressing. Ranch had her killed. Just try to order French Dressing anywhere. They’ll look at you like you don’t recycle. Ranch is the Hitler of sauces. Some people think Ranch may be a racist. It is white, you know. Cilantro. Calm down cilantro, you’re getting carried away. 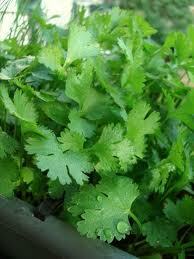 I’m convinced that people like saying they like cilantro more than they actually like cilantro. You are really cool, if at dinner with hipster friends, you exclaim, “I LOVE cilantro!” Then one of your hipster friends chime in, “Me too, I wish EVERYTHING had gobs of cilantro in it!” Then everyone high-fives, piles in the Prius, and heads to the Nickleback concert. Newsflash: Cilantro tastes like soap and doll hair. It is a spice, it’s meant to be used VERY sparingly. It’s not the base of all foods. Cilantro is close to becoming a religion. Cranberry. Who invited cranberries to be in ALL of the juices. Those guys in the commercials are funny but this is getting ridiculous. Cranberries are in EVERYTHING. Everyone wants to collaborate. They have become the Carlos Santana of fruit juices. And just like Carlos and whatever artist he joins, I always hate the result. Join me in boycotting Apple, Grape, and the like. Damn you Raisins. Craisins, really? Cranchlantro – It’s only a matter of time. I’m convinced that these three are working together. I heard that they are forming a limited partnership and are trying to buy the Chicago Cubs. They are also working on a sitcom. As Americans we have to join together against this coup. It’s high time we rally behind our only hope.